JK Horsetrucks Leasure Z impressed at the German Championships in Balve this weekend. The first two rounds were jumped on Friday, and out of the fifty horse-and-rider combinations in the class Kathi and Leasure finished 12th to qualify for Sunday's final open for the 28 best. Leasure jumped a beautiful clear in Friday's first round, and had a very light rail down in the second round to put him and Kathi tied in fifth overall on a penalty score of four. Sunday's first round was as expected very tough, and included the big, open water. 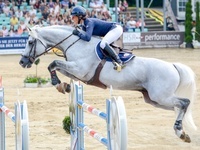 However, Leasure showed what is in him and jumped a perfect clear over the difficult track moving on to the last round on a total of four faults. Unfortunately, he was a bit empty - with the hot weather also taking a lot out of him - and three poles fell. Kathi was nevertheless extremely pleased with what Leasure showed in the three first rounds in Balve, and that he has it in him to jump the biggest and toughest tracks. 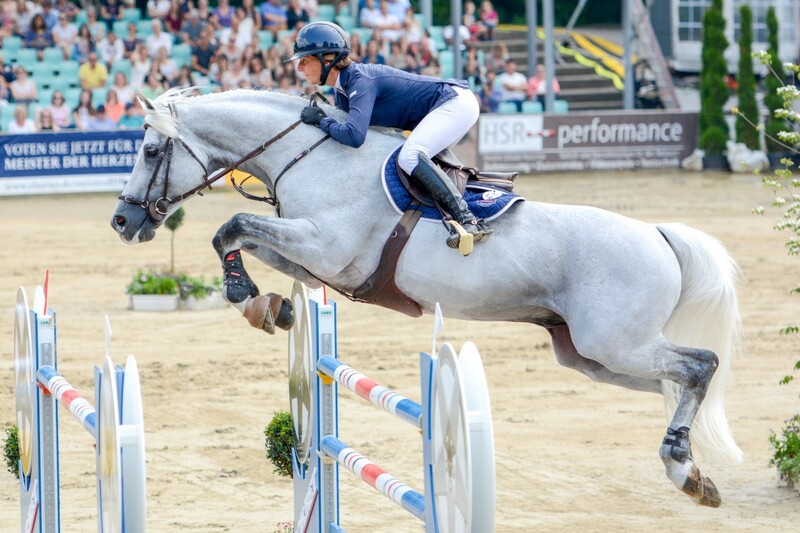 Leasure will now get a small break, and returns for the CSI3* show in Bonheiden in two weeks.